Although Colorado recognizes common law marriages, it does not require couples to obtain a marriage license or participate in a marriage ceremony to have one. Instead, the parties simply need to be 18 or older, consent to being married, live together as a married couple, and hold themselves out to the public as married. If a couple lacks any one of these characteristics, a common law marriage does not exist. For example, if one party says to a friend, "we're planning to get married soon," there is no common law marriage because the parties are not in agreement that a marriage exists. Sometimes couples think living together for a long period of time creates a common law marriage. This is not true. While living together for a long time may help support a couple's claim that they considered themselves married, Colorado does not require it. The law looks at the couple's conduct while living together and whether they acted like a married couple during that time. For example, if a couple held themselves out to the public as married while simultaneously buying property and raising children together, a Colorado court is more likely to find that a common law marriage exists. When a couple lacks a marriage license and did not participate in an official marriage ceremony before a judge or other authorized officiant, the legitimacy of their marriage may be questioned. This often comes up when a couple applies for benefits limited to spouses, such as Social Security death benefits, life insurance proceeds or specific health insurance coverage. In such cases, a Colorado court or relevant agency will look to the couple's conduct to determine if a valid common law marriage exists. In addition to evaluating whether the parties lived together as a married couple, a court will look at how they presented themselves to the public, evaluating such factors as whether the couple shared the same surname, told family and friends they were married, listed each other as spouses on insurance policies and retirement plans, and filed joint income taxes. Couples who want to end their common law marriage can only do so by obtaining a divorce. Since there is no such thing as a common law divorce in Colorado, common law spouses must go through the same process as traditionally married couples. The only difference is that the court will first determine whether a valid common law marriage exists. Once that occurs, the court will then proceed to deciding issues of property and debt division, alimony, and child support and custody. 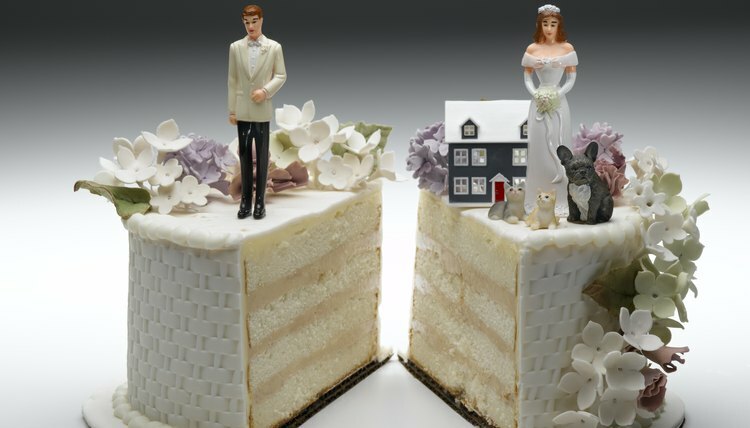 Once that's done, the court will issue a divorce decree, officially terminating the common law marriage. Plog and Stein: Are You Common Law Married Under Colorado Law and Do You Need A Divorce?